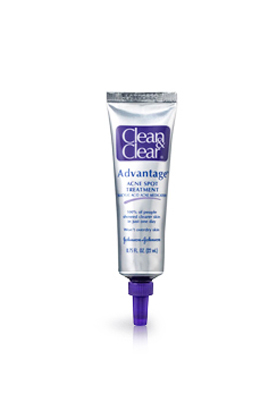 You are at:Home»Acne Scars»Salicyclic Acid Products for Acne Scars: Effective or Not? Salicyclic acid is a peeling agent that works by peeling of the epidermal layers of the skin. 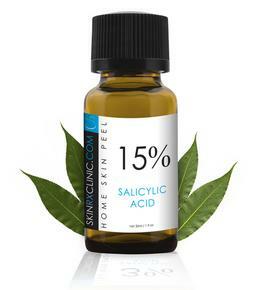 As a result, salicyclic acid reduces acne scars. It is a beta-hydroxy-acid, which is derived from plant hormones, especially willow tree and is recognized by U.S. Food and Drug Administration. Salicyclic acid has a variety of application in topical cosmetics and medicine for skin issues such as acne, acne scars, dandruff and warts. It is a common ingredient in acne treatments, but it is more readily used as salicyclic acid peels. Can Salicyclic Acid Remove Acne Scars? Salicyclic acid is an effective acne treatment ingredient used in acne breakout therapy and acne scar reduction. Topical salicyclic acid reduces the appearance of your acne scars by exfoliating your skin and removing dead skin cells from the outer layer of the skin, the epidermal. The removal of dead skin cells from the skin reduces the appearance of acne scars and promotes the growth of collagen in the inner layer of the skin, dermal to produce new, less-blemished skin. It deeply penetrates the underlying skin surface and removes any excess oils from oily, breakout prone and acne scared skin. 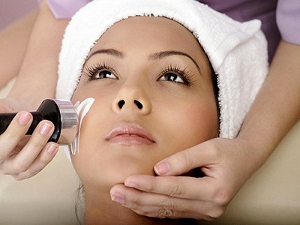 It also helps in preventing post acne scarring by reducing the appearance of post breakout scars. Salicyclic acid products are quite strong and penetrating. They are generally suitable for most type of skins, but it produce better outcomes on skin that is oily and prone to acne. Usually, the salicyclic acid products contain 2% ingredient, which helps you get great results and exfoliates to relieve acne and breakouts. It is essential to follow the directions on the Salicyclic acid product before you start using it. The dosage depends on the severity of the acne scars and the type of salicyclic acid you are using. It is recommended to use it on alternate days at the beginning of the treatment so that your skin is not overly dry. You need to use it for several weeks for significantly apparent results. You should apply the products with cotton swab so that you only dab a percentage of the product directly on the acne scars before bed. You should avoid using your hands during application, as germs from your hands can aggravate the condition. Over time, you will notice that your marks will become discolored and eventually eliminating the scar entirely. It is important to ensure that salicyclic acid does not come into contact with your eyes, nose or mouth. In case it does, you should rinse the area under water for at least 15 minutes. Also, it should not be applied to areas where the skin is broken or irritated in any way. Milder Salicyclic products are available over-the-counter without prescription, but it is wise to consult with your doctor to determine the appropriate strength and type of salicyclic acid product for your need. In addition, salicyclic acid can make your skin more sensitive to sunlight and should always be accompanied with a sunscreen. In short, salicyclic acid is suitable for reduction and removal of acne scars as well as other types of marks. However, it produces better results on mild to moderate acne scars. In case of severe condition, more invasive procedures, such as laser therapy, should be considered.